With Japan being a highly volcanic island, the Japanese have harnessed and perfected the art of onsen, or hot springs, for centuries. Traditionally, men and women would bathe together in the same facility, but it wasn’t until the beginning of the Meiji Restoration when onsen began to segregate men and women. Today, mixed-gender onsen, or konyoku, are hard to find, with places like Tokyo having bans on such establishments. Generally, women are given towels to cover their bodies in the baths while men will bathe fully undressed. 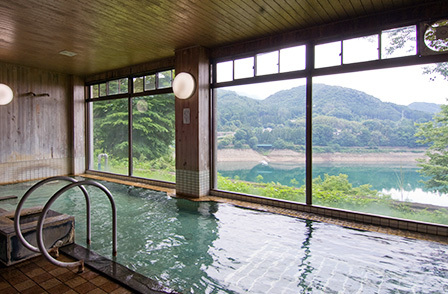 However, this dying breed of onsen can be found tucked away in the depths of the countryside or even on remote islands. With numbers dwindling, experiencing this one-of-a-kind Japanese tradition before they disappear is highly recommended. 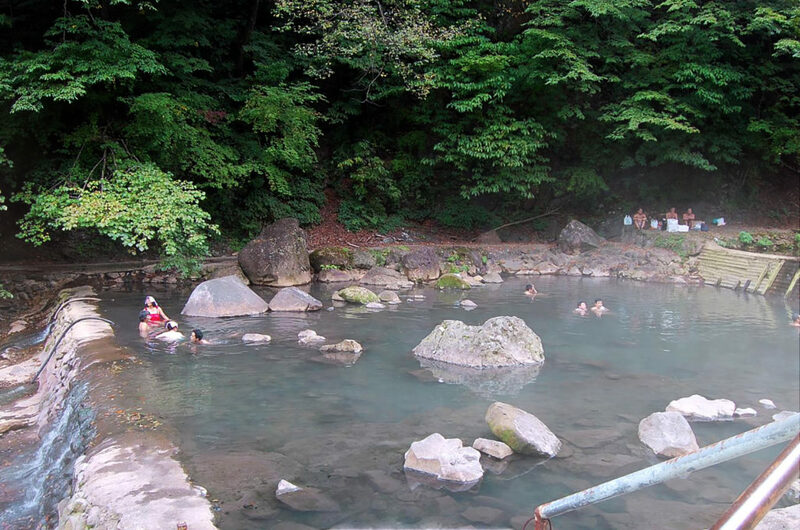 Here is a quick guide to mixed-gender onsen in the central Kanto region. 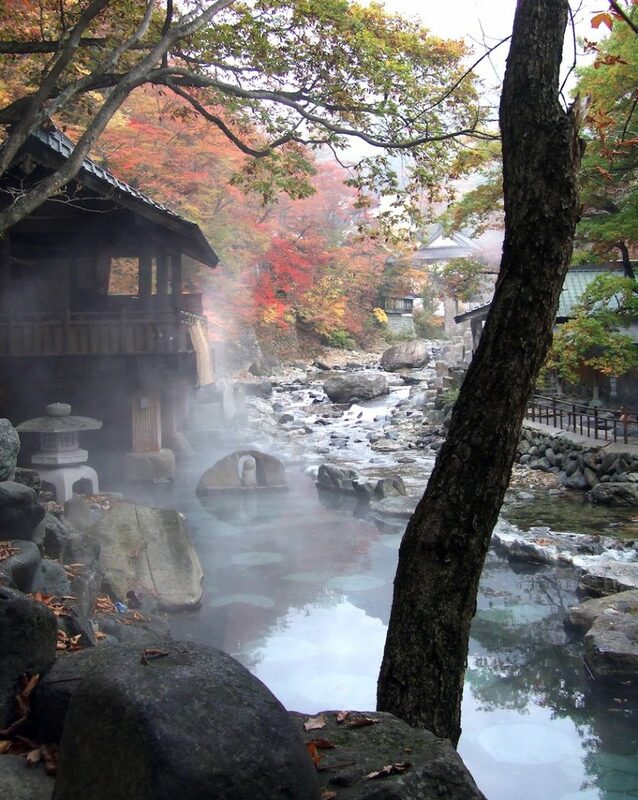 Takaragawa Onsen sits alongside the Tone River, surrounded by greenery and beautiful stone. This hot spring is well known throughout Japan for being beautiful year round, with high traffic during the autumn season. With three outdoor baths for both genders and one secluded women’s-only bath, you can easily spend hours soaking in this outdoor oasis. A bath at Hotel Kojokaku. A perfect destination for outdoor folk, Hotel Kojokaku in located in Gunma’s adventurous town of Minakami. Located close to ski slopes and ample hiking trails, Hotel Kojokaku is a great place to relax after a long strenuous day. Yumori Tanakaya is found in Nasushiobara City in Tochigi Prefecture. This ryokan is only an hour away from Utsunomiya City, making it a quiet escape from the busy prefectural capital. You must walk down 300 stone steps down to the two outdoor baths that are nestled alongside a river. Buildings do not obstruct the beautiful view, resulting in a pure, tranquil atmosphere. Established in 1573, Honke Bankyu makes for a historical bathing experience. For over 400 years, descendants of the Heike Dynasty have ran the ryokan to house guests who seek to cure their illnesses through the hot spring’s water. Though there is only one outdoor mixed bath, Honke Bankyu offers a traditional, luxurious experience. 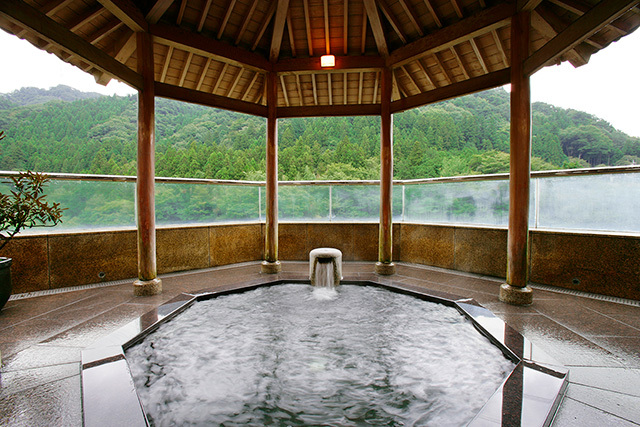 This outdoor mixed onsen is one of the most popular on the Izu Islands, which are administered by Tokyo. With an expansive view of the ocean and its accessible location, it’s not very surprising. What makes this onsen experience different is that swim suits are mandatory. This is the perfect destination for the less seasoned onsen goer. Situated right next to the sea on the small but gorgeous island of Shikinejima, Ashitsuki is truly a one-of-a-kind experience. This onsen is open 24 hours a day and offers a view of the sea and nearby harbor. Bathing suits are also required at this onsen, which makes it a great introductory mixed gender onsen. Miyako’s outdoor onsen is mixed-gender. Located in Tokyo’s neighboring prefecture of Saitama, Miayko Ryokan is a fantastic place to escape the city’s busy streets and neon lights. This intimately mixed bath also has a lower temperature than most onsen, clocking in at about 16°C. This is great for soaking with friends for hours on end. 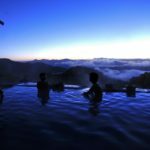 While mixed-gender onsen can be a unique experience, be sure to check reviews of public mixed-gender onsen, particularly admission-free onsen in nature. These baths may be an uncomfortable setting for the unseasoned bather due to lax rules. 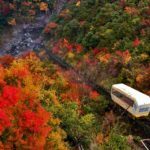 If you’re looking for the more onsen options, go to GaijinPot Travel and discover hot spring areas and getaways all over Japan. Have you been to a mixed-gender onsen in Japan? ♨️ Let us know how your experience was in the comments below. 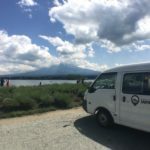 This is what happens when you rent a camper in Japan and unexpectedly drive up a mountain.